Profile | Joshua S. Kleederman D.M.D. Profile – Joshua S. Kleederman D.M.D. Central to his goals of providing optimal dental care is Dr. Kleederman’s commitment to continuing dental education. He is frequently involved with seminars and lectures concerning all phases of dentistry. Boston University School of Graduate Dentistry awarded Certificate of Advanced Graduate Study in Prosthodontics (CAGS). Two year postdoctoral specialty training in prosthodontics. University of Pennsylvania School of Dental Medicine awarded Doctor of Dental Medicine (D.M.D.) with honors. Tufts University awarded Bachelor of Science in Mechanical Engineering with honors. 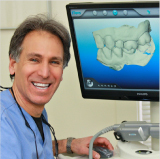 Dr. Kleederman has been in private practice since 1981 specializing in prosthetic dentistry. He teaches dental residents at Berkshire Medical Center and lectures on prosthodontic topics for various dental societies.